For over 20 years, Grall & Associés has been singled out for its know-how in business law. Established in Paris by Jean-Christophe Grall, our law firm successfully covers both pure competition law matters (anticompetitive practices, merger control, state aids, restrictive practices) and commercial, civil or criminal proceedings in relation to antitrust matters. 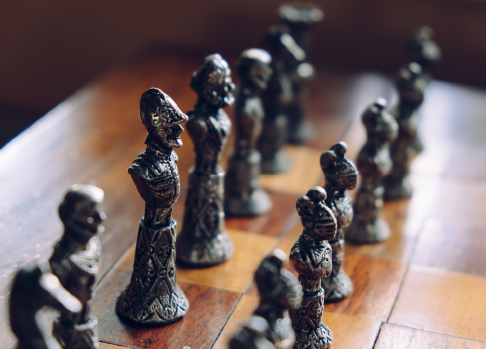 We have a long history of representing clients in high-profile antitrust cases, disputes and transactional matters, before national and European administrations and courts, as well as arbitration tribunals. 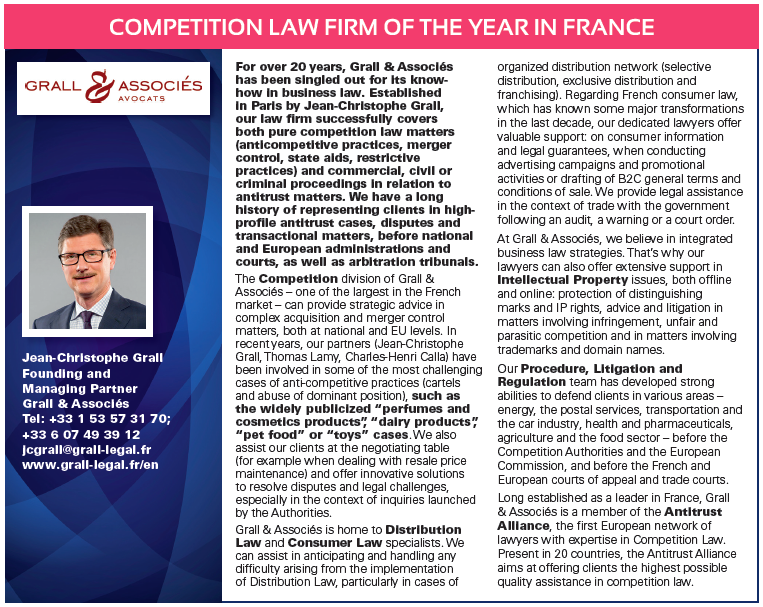 The Competition division of Grall & Associés – one of the largest in the French market – can provide strategic advice in complex acquisition and merger control matters, both at national and EU levels. In recent years, our partners (Jean-Christophe Grall, Thomas Lamy, Charles-Henri Calla) have been involved in some of the most challenging cases of anti-competitive practices (cartels and abuse of dominant position), such as the widely publicized “perfumes and cosmetics products”, “dairy products”, “pet food” or “toys” cases. We also assist our clients at the negotiating table (for example when dealing with resale price maintenance) and offer innovative solutions to resolve disputes and legal challenges, especially in the context of inquiries launched by the Authorities. Grall & Associés is home to Distribution Law and Consumer Law specialists. We can assist in anticipating and handling any difficulty arising from the implementation of Distribution Law, particularly in cases of organized distribution network (selective distribution, exclusive distribution and franchising). Regarding French consumer law, which has known some major transformations in the last decade, our dedicated lawyers offer valuable support: on consumer information and legal guarantees, when conducting advertising campaigns and promotional activities or drafting of B2C general terms and conditions of sale. We provide legal assistance in the context of trade with the government following an audit, a warning or a court order. At Grall & Associés, we believe in integrated business law strategies. That’s why our lawyers can also offer extensive support in Intellectual Property issues, both offline and online: protection of distinguishing marks and IP rights, advice and litigation in matters involving infringement, unfair and parasitic competition and in matters involving trademarks and domain names. Our Procedure, Litigation and Regulation team has developed strong abilities to defend clients in various areas – energy, the postal services, transportation and the car industry, health and pharmaceuticals, agriculture and the food sector – before the Competition Authorities and the European Commission, and before the French and European courts of appeal and trade courts. Long established as a leader in France, Grall & Associés is a member of the Antitrust Alliance, the first European network of lawyers with expertise in Competition Law. Present in 20 countries, the Antitrust Alliance aims at offering clients the highest possible quality assistance in competition law.